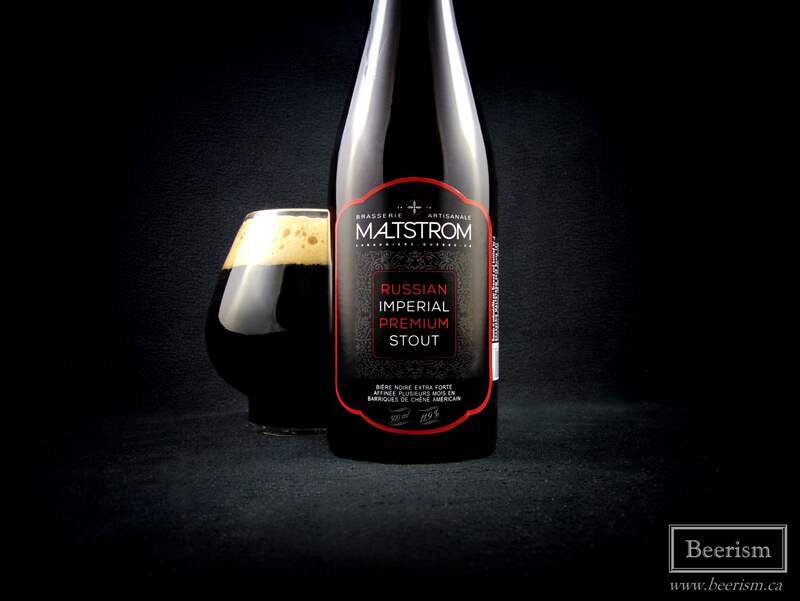 Home » Beer Reviews » Brasserie Artisanale Maltstrom Starts Barrel Aging – Yes Please! 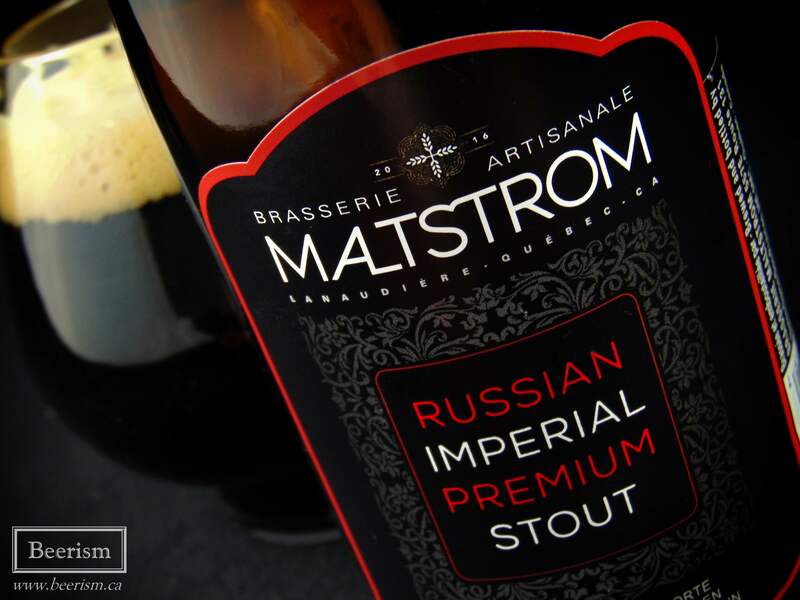 Brasserie Artisanale Maltstrom may have only been around a couple of years, but they are already on their way to becoming one of the most sought after breweries in the province. Helmed by owner and brewer Michaël Fiset – as well as brewer Elaura Bussiere – this Notre-Dame-des-Prairies brewery is producing highly acclaimed beers from a wide spectrum of styles. Their standard line-up is one of my favourites in the province, ranging from hoppy and hazy, to an delicious and clean Pilsner. Maltstrom’s core beers are mostly lagers, and their exceptionally popular IXPL (India Extra Pale Lager) accounts for more than half of their revenue. Why brew a hazy and dank styled IPA with lager yeast? The answer to that lies in Michaël’s background. Although being Québécois, Michaël began his brewing journey picking grapes in France. His love affair with wine led him towards a vinous direction, but the climate in Quebec isn’t ideal for creating wine. Instead, he began working for L’Alchimiste, and stayed for over 10 years (much of that time as the head brewer). If you are not familiar L’Alchimiste, it’s a Joliette based brewery that has been around since before the craft beer scene really blew up. To me, their model seemed to be about reasonably priced craft beer that was accessible and easy to drink. When I was first starting out, they were a good breakthrough brewery for those wanting to drink outside of the macro-beer universe, but who also might be intimidated by more aggressive flavours (or aggressive prices). Michaël’s time there taught him many things, including the brilliance of lager yeast. 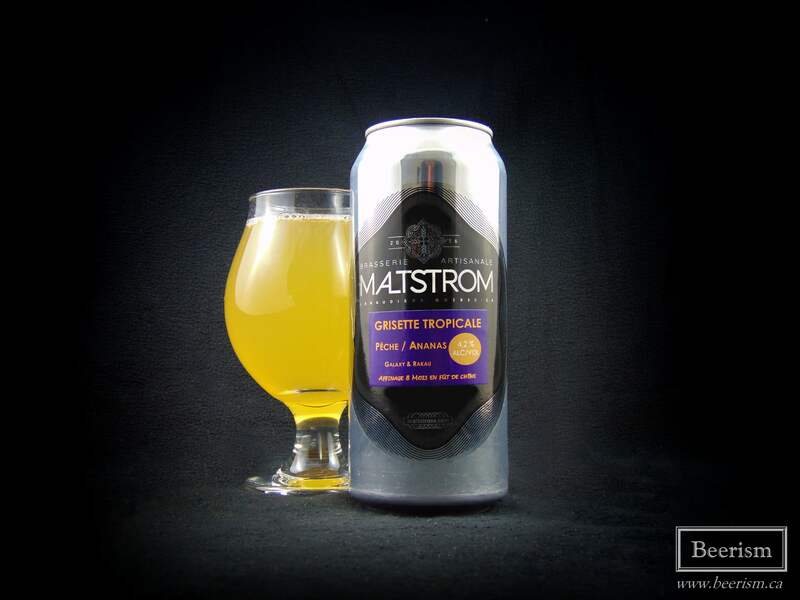 So, when he finally started Maltstrom, he wanted to create his own post-modern beer styles that were basically the best of both worlds: drinkabl eand complex. And you know what, he nailed it. When you first take a sip of IXPL, you’re hit with an explosion of hazy hop goodness, yet it still manages to carry a subtle cleanness to it. 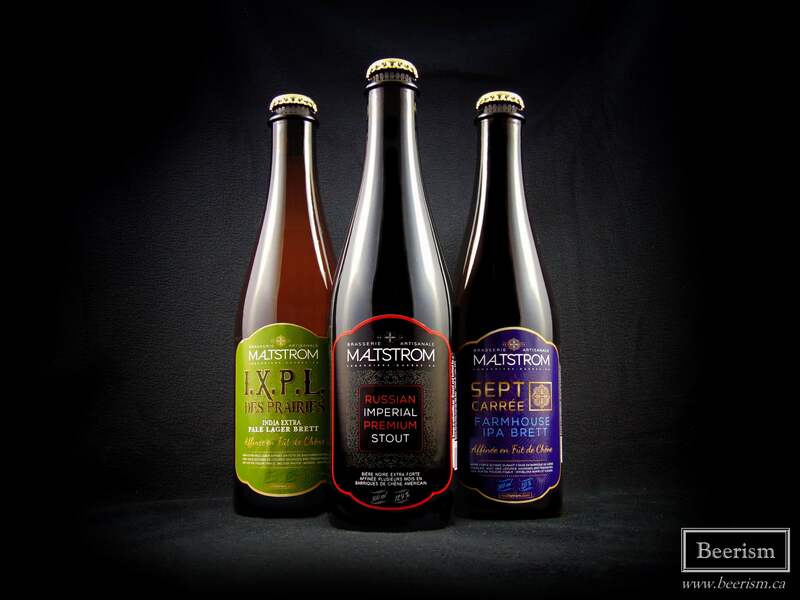 That said, I don’t want to talk about Maltstrom’s regular line up today, I want to dive into four of their new (and returning) barrel-aged offerings. I’m damn excited. Let’s begin with Grisette Tropicale, a Grisette brewed with peaches and pineapple, barrel aged for 8 months and hopped with Galaxy and Rakau. The nose is a complex mix of fresh pineapple, spicy yeast phenols, dank and fruity hops, and lots of tangy acidic notes. Up front there is ample acidity mixed with some astringent bitterness. However, the fruitiness is there as well. The barrel is subtle, lending a touch of oak, and also more tannic layers, furthering the bitterness. As my palate adjusts, the juiciness comes through more, with clear pineapple and some subtle peach. The hops lend citrus and tropical notes as well. It’s a touch vinous, carrying a tangy white wine component. Overall the flavour profile is on point. The dry phenolic yeast lends character to the abundance of fruit, while the hops and the barrel add even more layers. However, the bitterness is too pronounced for the dryness of this beer, creating a slightly astringent and aggressive finish that I’d like scaled back (for my tastes). 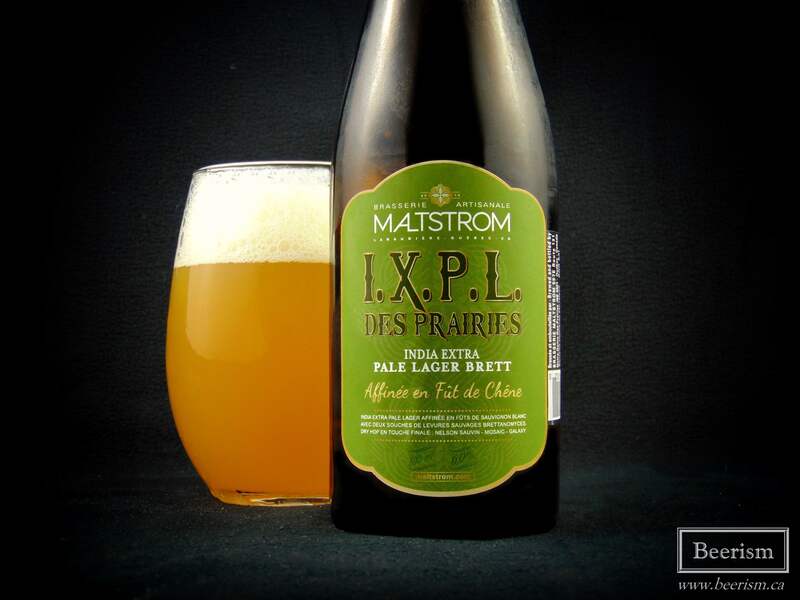 India Extra Pale Lager Brett is Maltstrom’s IXPL, aged in Sauvignon Blanc Barrels with Brett and then dry hopped with Nelson Sauvin, Galaxy, and Mosaic. The nose blasts you with lots of bretty animal funk, coupled with some citrusy and tropical dank hops. Loads of tangerine essence meets pineapple and white grapes. Some oak lends spicy vinous aromatics in the finish. The palate matches, carrying a perfect blend of hops and barrel character. Plenty of musty and barnyard brett funk lend compliment to a whole wack of tropical and citrus fruits. There are countless layers here. The mosaic adds a typical orange citrus, while the Nelson Sauvin provides a white wine component that perfectly compliments the vinous wine barrels that the beer is aged in. IXPL Brett is incredibly dry, and surprisingly clean in the finish. It’s so easy to drink while still incredibly complex and downright brilliant. I loved this one. In early 2017, Maltstrom dropped this unassuming imperial stout called RIP. After my first sip, I was floored. It was 11.9%, but carried an approachable finesse – the beer was incredibly easy to drink. It was rich and luscious, with huge fudgy notes, but was just so accessible. Well, they took most of that batch and threw it in bourbon barrels for the better part of a year. The nose is quite subtle, with a some dark roasted aromatics of coffee and chocolate, mixed with hints of barrel. Cooked toffee, cake and toasted oats come through as well, with vanilla bourbon accents in the finish. The mouthfeel is thick and slick, with a brilliant lusciousness. There is virtually no sharp edges to this beer, it’s round and incredibly easy to drink. The roast is there, but not heavily pronounced, while the bourbon notes come through, more aggressively, providing some vanilla and slight warming ethanol in the finish. Chocolate and cooked taffy come through as well, adding some sweet elements, yet the beer itself is very dry. Overall this is great, but I actually preferred the fresher, non-barrel-aged version. The brightness of the hops and the chocolate notes were just so on point at the time. In this version, the barrel does add some nice bourbon vanilla notes and spicy oak layers, but I’m just not feeling it quite as much as the OG – I feel like it lost something with time. That said, I still highly recommend finding a bottle if you can. 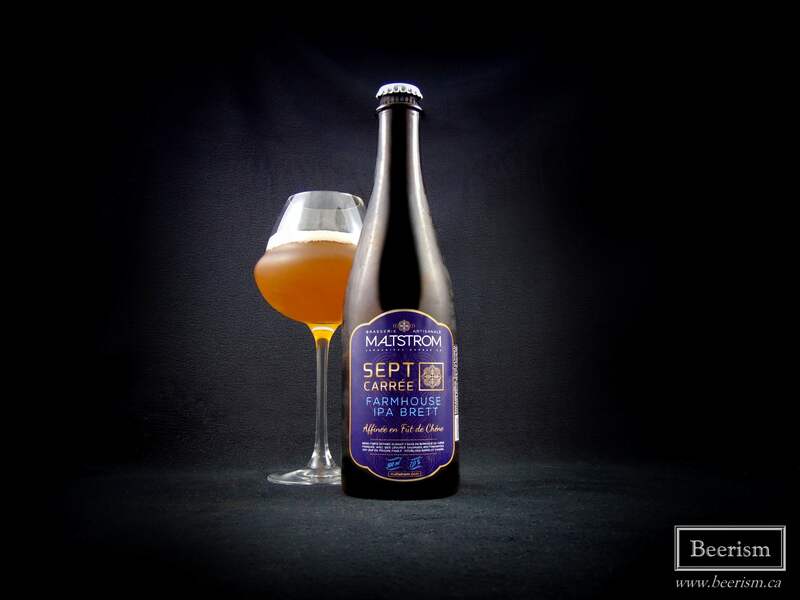 Sept Carrée is aged for seven months on French oak with lots of brettanomyces, then was dry-hopped with Rakau and Enigma. The nose is a rich mix of juicy and ripe stone fruits, bretty animal funk, and some zesty barrel notes. There are also some serious hop aromatics, launching apricot, peach, and plum at my senses. The palate matches, but is a touch more subtle. Lots of overripe plum and peach are complimented by some nice vinous barrel complexities. The brett is less on the dusty side of things and instead is all barnyard animal funk, delivering some dry phenols to help balance the fruitiness. There is a great tang to this this beer, providing an amazing fruity zip to the finish. Overall Sept Carrée is a delicious funk bomb that attacks the wild hoppy style quite differently from the IXPL Brett. Instead of the bright citrusy and sharp “NE” hop profile of IXPL, this one is a touch richer and more round, with a huge ripe stone fruit essence. It’s amazing. If you haven’t had a chance to try anything from Maltstrom, you really need to get on that. 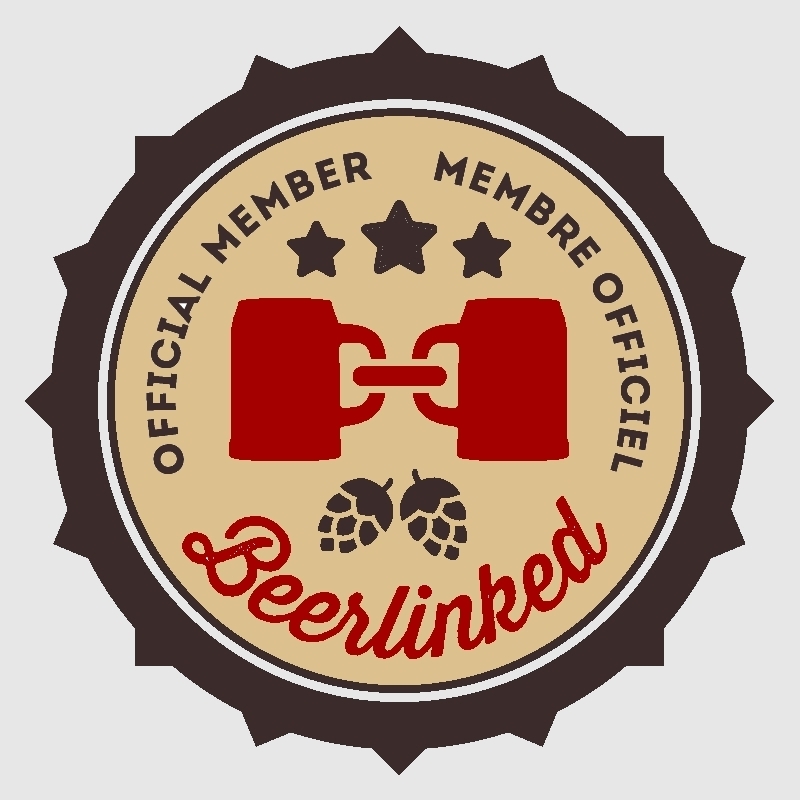 Their beers are as complex and layered as they are easy to drink. These new barrel-aged offering are no different, delivering amazing original flavour profiles at every turn. You can always visit the brewery to grab some cans to go, or head to a select few stores around town (Maltéhops in Verdun frequently carries stock). My friends at the BAOS podcast/vlog recently interviewed Michaël and Elaura from Maltstrom. You can listen to the full audio podcast here, or watch the abridged video right here.